Soft rubber foam balls with different textured and knobby surfaces. 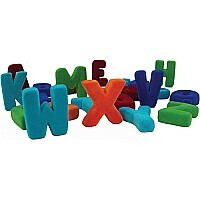 The surface is velvety soft and provides excellent stimulation. 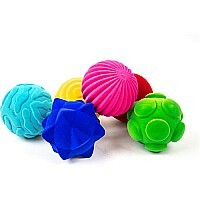 Roll them, bounce them, or throw them, Rubbabuballs give years of happy play time. 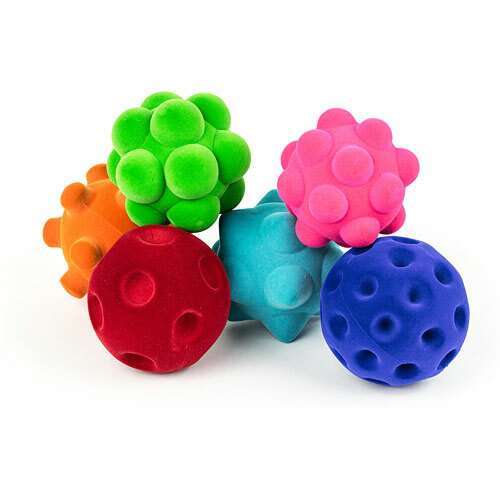 The Standard Ball Assortment contains 6 balls. 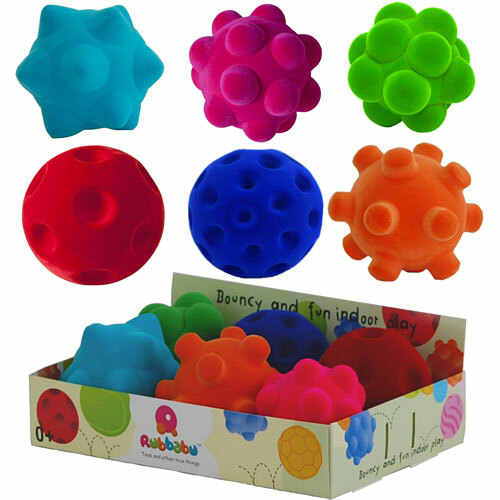 Rubbabu toys are made from ingredients that are carefully chosen or developed to be extremely safe for babies, infants and toddlers. The rubber is 100 pure rubber from the Hevea tree. 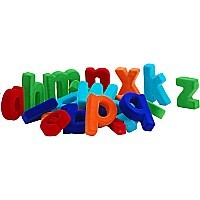 The soft surface is made from very high quality nylon flock from Spain. 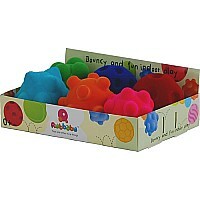 The Rubbabu factory in India is a fair trade, ethically run, environmentally responsible company. It is a family company still run by the parents who founded Rubbabu toys and has been certified by ICTI for its ethical manufacturing practices. Instructions This is not a teething toy. Cleaning Instructions: Wipe clean with a damp cloth. 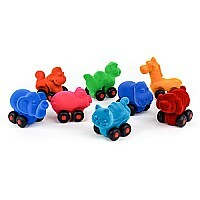 Rubbabu toys do not contain any lead, phthalates, or other harmful or banned substances. All our toys comply with CPSIA standards (for the United States), EN 71 and REACH standards (Europe), AS/NZS ISO 8124 (Australia). They do not contain nitrosatable substances or nitrosamines.